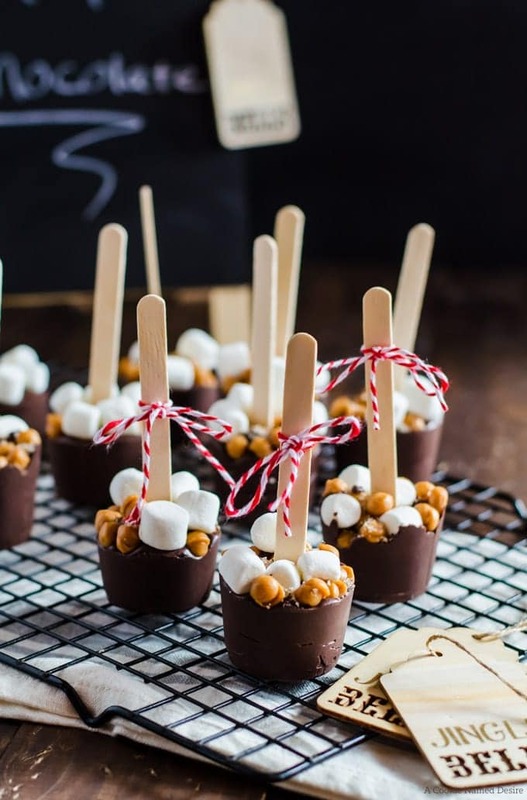 Give the perfect food gift with these mocha salted caramel hot chocolate on a stick – or make them for yourself for an easy and fun way to enjoy hot chocolate! 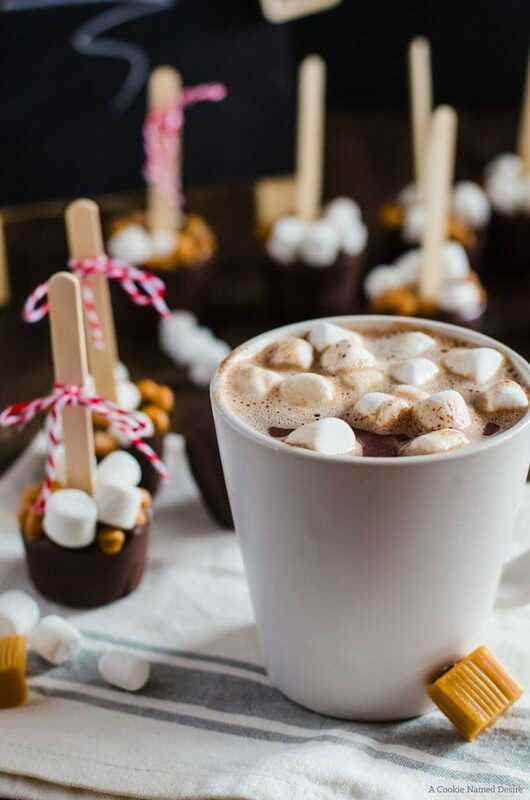 If you are still looking for a great last minute food gift, this mocha salted caramel hot chocolate on a stick is perfect. 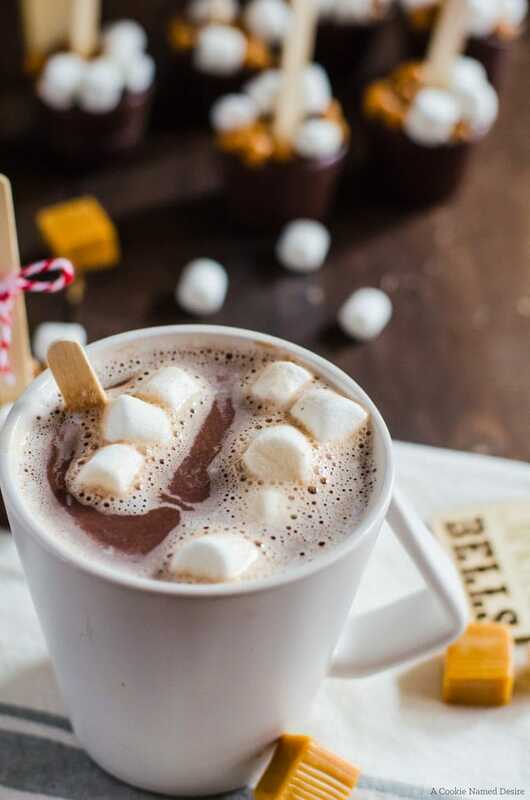 It is super simple to put together and creates a creamy, delicious hot chocolate that you will honestly want to keep for yourself. Hot chocolate is that one drink that I have to have all winter long. There is nothing better than looking outside, watching the snow fall and cuddling my daughter under a big blanket while sipping on hot chocolate. This winter may be warm, but I still crave lots and lots of hot chocolate. The first time I ever heard of hot chocolate on a stick was a couple of years ago when I was doing my subscription box review blog and I got one in a box. It was amazing. In Richmond, Surrey, there was a chocolate bar where they served the most decedent food and the most incredible hot chocolate and chocolate cocktails. Their hot chocolate tasted almost just like pure melted chocolate with a bit of cream to thin it out ever so slightly. That’s what the hot chocolate on a stick I tried tasted like. 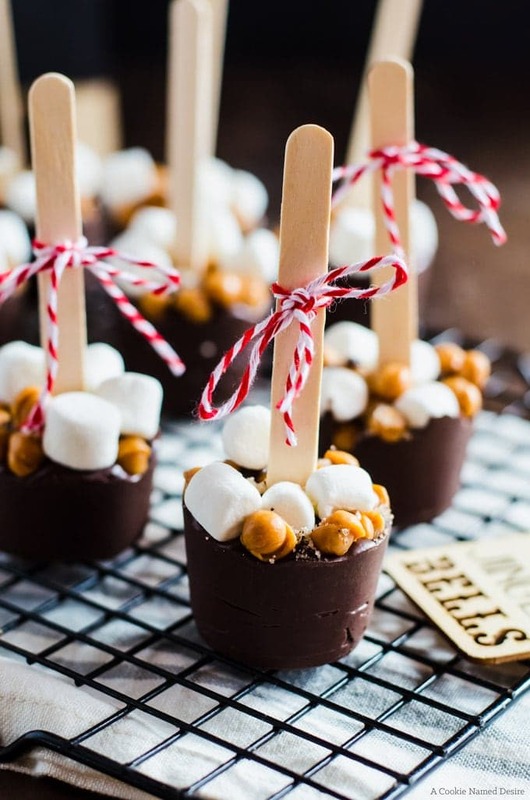 And that is what I achieved here with these mocha salted caramel hot chocolate on a stick. It is rich and incredibly chocolaty and a nice balance of espresso and salted caramel. It’s hard to have just one mug a day. And sometimes I don’t stick to just one. Just being honest here. 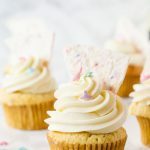 So go ahead and make a batch for someone you love…. like yourself! On a double boiler, melt the chocolate until smooth. Stir in your cocoa powder, powdered sugar, espresso powder, and salt. The mixture will be very thick and you may think it won't work, but keep on working! It'll come together! Allow to harden 4 - 6 hours, preferably overnight. 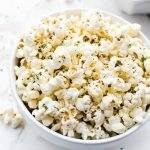 Make sure you prepare all your ingredients by having them out and ready! Once you start, the process goes pretty quickly! Hi! For the perfect hot chocolate, How many grams does the cube have to be for every cup of liquid? Hi, what caramels do you use or is it something that is make able? Hi there! 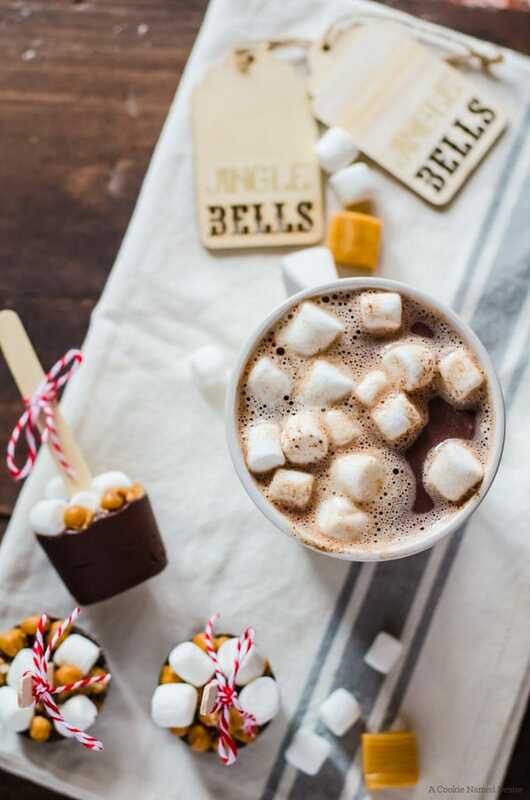 I’m looking to also make plain hot chocolate sticks similar to this that are kid friendly (did I say picky kids?). Can I just leave out the espresso, caramel and the fleur de sel or would I also have to up the sugar? Hi Sam, you can totally take out all the extras and just use the basic recipe. 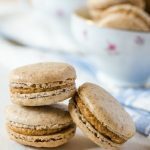 It shouldn’t need any adjustments other than replacing the espresso powder with equal amounts of cocoa powder (or maybe not if they don’t like things too chocolaty – I know my kid sometimes complains about that haha!) I hope the kids enjoy! I have never tried freezing them, but I think that yes, overtime, the chocolate will eventually form frost and/or freezer burn.